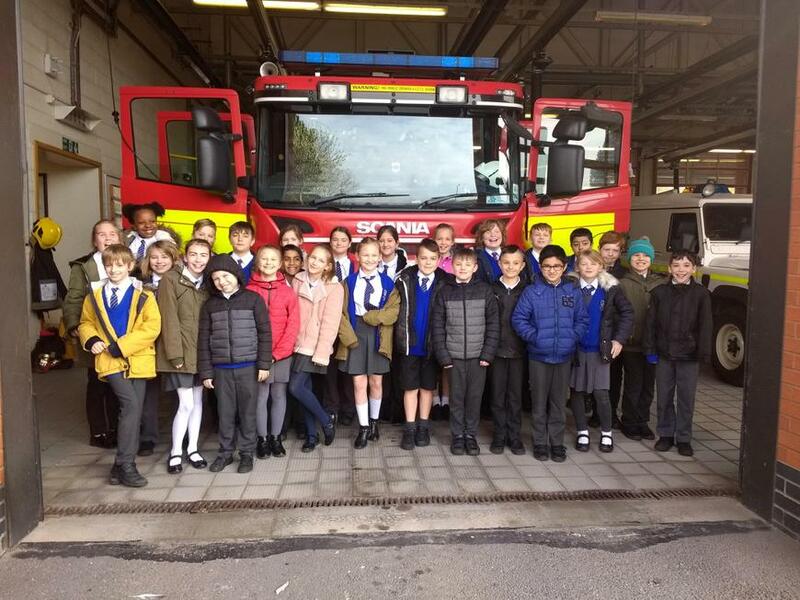 On Monday 1st April children from St Austin’s Catholic Primary School attended a special Safe+ Sound event hosted by Staffordshire Fire and Rescue Service (SFRS) at Stafford Fire Station, Beaconside. Safe+ Sound is a workshop designed to support children and other members of the community to make informed and positive choices improving their health, safety and wellbeing. Partners come together at Community Fire Stations around the County to deliver interactive workshops on subjects such as fire safety, emergency first aid, drug and alcohol awareness, road and truck safety, anti-social behaviour, personal safety (internet and online safety), water safety, rail safety and emotional wellbeing. The events are SFRS’s mobile education programme which is delivered with partners including Staffordshire Police, the Canal and River Trust (C&RT), Royal National Lifeboat Institute (RNLI), St John’s Ambulance, DHL, Ministry of Defence Medics, Network Rail and the Safer Roads Partnership. “The children really enjoyed the activities on the day and it was fantastic that such a diverse range of safety messages were delivered in a way that made it interesting as well as educational. I think the children were particularly taken with the big truck and fire engine. They also enjoyed being taught CPR using dummies and practising putting each other in the recovery position. Our students behaved very well and showed a great understanding of online safety.” commented Mrs Michelle Hoyle, Head of School at St Austin’s Catholic Primary School. Helen Wood, Education Manager for SFRS, said: “We’re thrilled to hear how much children from St Austin’s Catholic Primary school enjoyed the Safe+Sound sessions. The programme is designed to allow children to learn interactively, which we feel is the best way of them understanding the importance of our safety messages. For example, our partner delivery company DHL, bring a large lorry to sessions so children can experience for themselves how difficult it is for a driver to see them, and they learn how to keep safe around large vehicles. Over recent weeks 1,200 children have attended Safe+ Sound events.